Sathya Rao Gutta is an expert on Indian culture and religion and has been leading journeys since 1979. 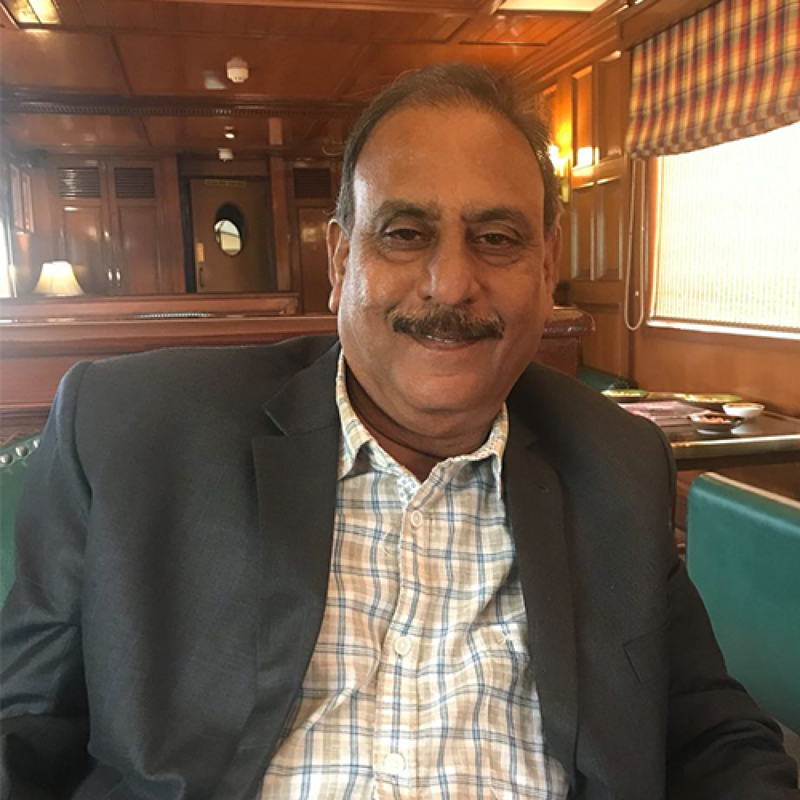 He has handled special interest groups of textiles, marble, yoga and meditation, spirituality, and groups travelling in Maharajah Express (one of the best luxury trains in the world). He managed the trip and travelled with India's ex. Prime Minister, Mr. Rajeev Gandhi's family from Italy, along with the longest serving Prime Minister of India, Mrs. Indira Gandhi. Sathya was awarded All India Best Guide Award for 2007-08 and is in the India Book of Records for speaking most number of Indian and foreign languages amongst guides. He was also awarded Honorary Doctorate by World Records University. India is a country of many shades, and nowhere are these colours more vibrant than in its festivals and traditions. This immersive journey brings alive the deep spirituality and religious diversity of the country, set around the colourful celebrations of Holi. With coloured powders and water guns, and a whole lot of singing and dancing, people take to the streets and enjoy Holi to mark the arrival of spring. 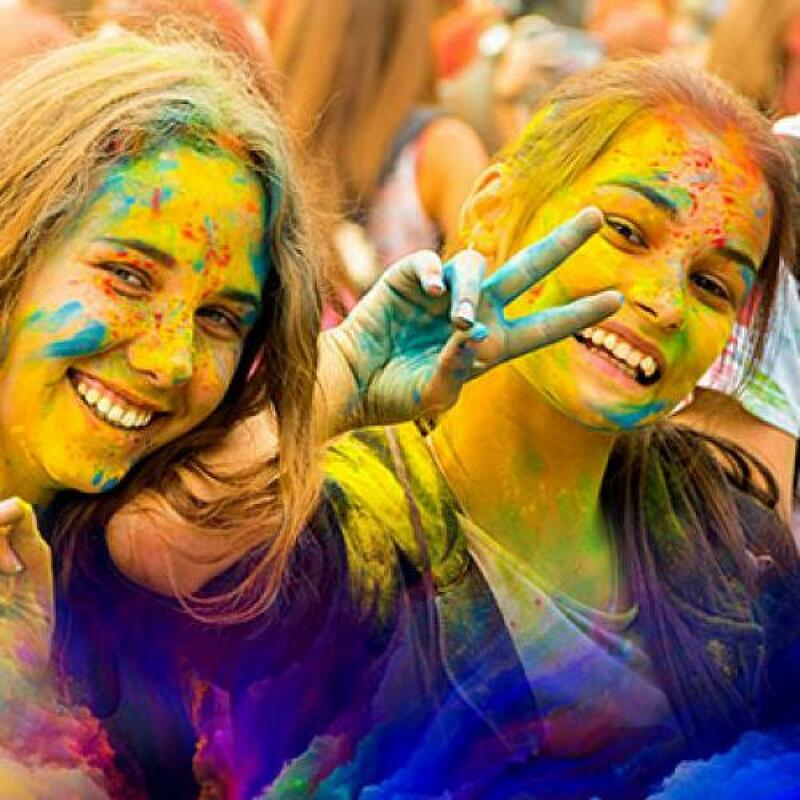 This immersive journey offers the chance to experience the many shades of Holi as you travel across cities to witness fascinating local rituals and adaptations of the “festival of colours”. Meet and interact with locals to learn about their traditions, while enjoying authentic meals from the region. Join the celebrations with a royal family; learn about the beautiful spiritual love story of Radha and Krishna; witness the unique martial skills of the Sikhs of Punjab; and douse yourself in the multi hues of the season. Welcome to Delhi, the capital of India. Spend the evening interacting with your tour expert, Vishal Bhaskar. Get insights from him about the tour and enjoy your dinner. Kickstart your journey with an exploration of this historic city. Take a rickshaw ride through the walled city of Old Delhi, followed by a tour of New Delhi. Later, drive to Vrindavan, the little temple town where the Hindu Lord Krishna is said to have spent his young years. The place is a significant spot for devotees of the god, including the global community of the Hare Krishna movement. Start your exploration of Krishna’s quaint hamlet at Shri Banke Bihari Mandir and then visit one of the most popular temples in India, ISKCON. Next, travel to Nandgaon – part of Braj Bhoomi, the region where Lord Krishna is believed to have spent his childhood – and experience the playful way in which Holi is celebrated here. End the day with “aarti” ceremony on the ghats of the Yamuna river at dusk. Drive to Agra, an approximately 2-hour drive. On route, visit the Krishna Janmasthan Temple Complex in Mathura, where Krishna was born inside a prison cell, according to Hindu mythology. In the afternoon, visit the iconic Taj Mahal and the grand Agra Fort. Drive to Bharatpur, an approximately 2-hour drive and visit the Keoladeo National Park, which is home to over 360 bird species and many more migratory birds that come here over the summer months. In the evening, travel down to the Deeg Palace – built in 1772 as a luxurious summer resort for the rulers of Bharatpur – to witness Holi celebrations. Witness the sprawling Mughal-inspired gardens and over 900 fountains of the palace come alive with the colours of Holi. Drive to Jaipur, an approximately 3.5-hour drive. Take a tour of the city and spend your evening experiencing the "Holika Dahan" ritual at a local home with a noble family. Witness grand celebrations of this evening as people come together to play music and tell stories around the bonfire with refreshments. Soak in the colours of Holi as you are welcomed at the residence of a local family, in traditional Rajput style to celebrate the festival. Wear traditional attire - white kurta-salwar for women and white kurta-pyjama for men, with ethnic headgear. Douse in the colours of the festival and join the family in some customary bantering and sing-alongs! Star your day with an excursion of the impressive Amer Fort and soak in the magnificence of the fort as you ride up to it in a jeep. Enjoy lunch at the opulent 1135AD restaurant. Fly to Chandigarh and drive about an hour to Anandpur Sahib gurudwara, the main site of the lively celebrations of “Holla Mohalla”. Later, visit the gurudwara. *Note: Meal served in the tent are vegetarian. Go down to a Gurudwara for a peaceful beginning to the day. Spend the rest of the day touring the town, watching processions of blue-robbed Sikh martial artists as the locals take to the streets for the colourful celebrations of Holla Mohalla. Drive to the quaint city of Chandigarh and visit the world-acclaimed Rock Garden. After the visit, fly back to Delhi for one last evening of this vibrant holiday. Your evening is free to relax and rejuvenate.